We have developed a GF symbol that caterers can use to show that they follow the correct processes to produce gluten free meals. The symbol can only be used by those who have worked with us on accreditation and meet our standards. We're working with a range of establishments to make sure there is a gluten free option on every high street and for every occasion. Below is a list of establishments that have achieved GF accreditation demonstrating the ability to provide safe gluten free options. 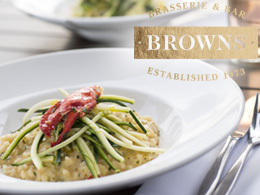 Browns Brasserie & Bar have successfully achieved gluten free accreditation at all of their locations throughout the UK alongside the launch of their all new gluten free menu. From Brighton to Edinburgh, you’re bound to find a restaurant close by offering a wide selection of their traditional all day brasserie dishes. Browns on the Venue Guide. With pub restaurants spread throughout the UK, Brunning & Price pubs offer great cask beers, wine, malt whiskies and gins. Offering freshly cooked food and a menu full of gluten free options, each dish is prepared with quality ingredients for classic British dishes complemented by exotic influences. Menus are displayed each morning on the pub’s websites, so you can whet your appetite before you even arrive. 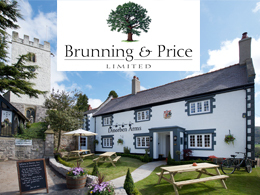 Brunning & Price on the Venue Guide. Carluccio's, the Italian restaurant group, has offered gluten free pasta since 2008. The gluten free menu, offers a wide range of dishes, so everyone can enjoy the true taste of Italy at Carluccio's. The menu includes a selection of light bite antipasti dishes, salads, classic pasta and main dishes and desserts. 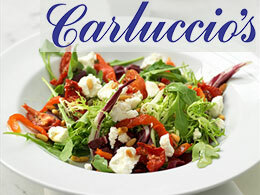 The accredited gluten free menu is available in all of Carluccio's restaurants. Carluccio's on the Venue Guide. The Chesterford Group offer their gluten free menu in selected venues across the UK available Mondays and Tuesdays at 20 locations so you can sample the very best of British fish and chips. For further information on the locations of the restaurants offering a gluten free fare, please see our venue guide. 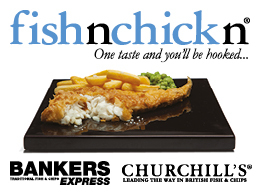 Fish'n'chick'n on the Venue Guide or Churchill's on the Venue Guide. Chipotle have made it incredibly easy to order gluten free. Just lose the flour tortilla and you can order anything from their array of fresh, hand prepared ingredients. From marinated grilled chicken to slow braised barbacoa beef. The tortilla chips and guacamole are entirely gluten free. Best of all, your meal is made while you watch, not while you wait. 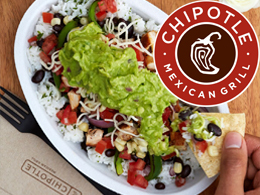 Chipotle on the Venue Guide. 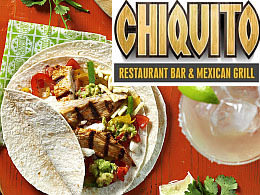 Chiquito Restaurant Bar and Mexican Grill offer an extensive range of gluten free options prepared with fresh ingredients and packed full of flavour to really tantalise your taste buds. With 88 restaurants across the UK you’re bound to find a gluten free Tex-Mex somewhere near you. Chiquito on the Venue Guide. Côte Brasserie, serving freshly prepared French food & relaxed all day dining, an extensive gluten free menu is available in all their restaurants across the UK. The menu features a range of French classics taken from Côte’s main menu, such as moules marinières, half chargrilled chicken with frites and their signature crème caramel. 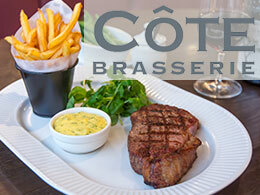 Côte on the Venue Guide. 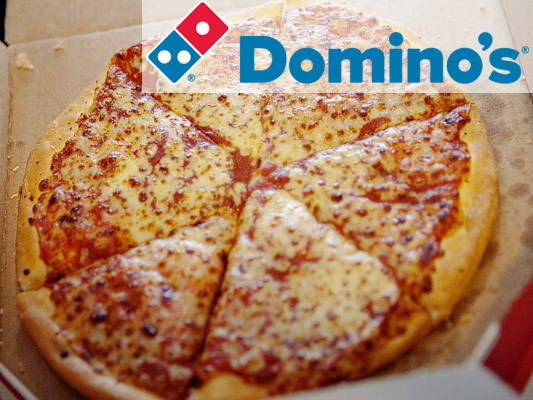 Domino's were the first pizza delivery business to introduce a gluten free pizza back in 2012. Their GF pizza base is available to order via the Domino’s app or online via the Domino’s website. The ‘Gluten Free Create Your Own’ pizza is located under the Delight range section on their online menu. Domino's on the Venue Guide. 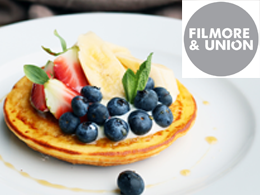 Filmore and Union are an independent healthy eating company with locations across Yorkshire. Many venues boast delicatessens and cocktail bars. They serve a wide choice of gluten free lunch options (including gluten free wraps), gluten free cakes and a dedicated gluten free evening menu. All their dishes have been crafted with nutrition and healthy diets in mind. Filmore & Union on the Venue Guide. Frankie & Benny’s have one of the largest gluten free menus in the UK with 18 exciting dishes available in all their restaurants. There is something on the menu for everyone, including ribs, New York chicken, a naked burger and Frankie's famous banana split sundae. 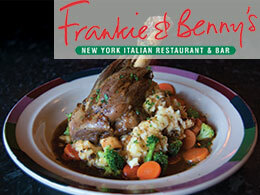 Frankie & Benny's on the Venue Guide. 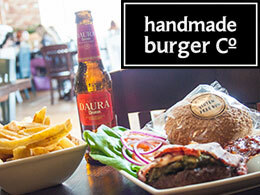 Handmade Burger Co is our premier gourmet burger restaurant group to gain accreditation. Offering a dedicated gluten free menu packed with over 40 gluten free burgers including; seven vegetarian options, fresh cut chips, a range of salads and sides. All of these options and more are available at all 20 restaurants. Handmade Burger Co use only the freshest and finest ingredients. Handmade Burger Co. on the Venue Guide. 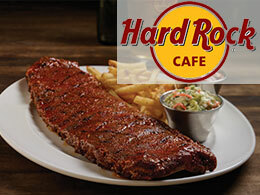 Hard Rock Cafe have a mouth watering gluten free menu which offers many of the gluten containing versions of favourites including Wings, Nachos, a wide variety of salads, steaks and three impressive legendary burgers. Hard Rock Cafe on the Venue Guide. Morrisons, renowned for their excellent range of ambient, chilled and frozen free from products, have unveiled a unique concept in their store Giffnock. Introducing a new free from counter in their “Market street” offering freshly made wraps, rolls and salads. The counter provides some great food on the go options as well as takeaway favourites. 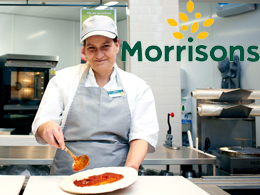 Morrisons counter on the Venue Guide. 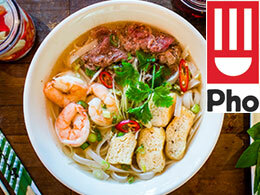 Pho is a Vietnamese street food restaurant group with a main menu that's almost entirely gluten free. Excluding three types of beer and the chocolate slab dessert, everything else is naturally gluten free. Pho worked closely with Coeliac UK during the accreditation process and their staff have received training in the preparation and service of gluten free food. Pho on the Venue Guide. Pizza Hut offers a gluten free pizza base and have worked hard to ensure that all its tasty pizza sauces and toppings, on both their restaurant and take away menus, are also gluten free. They have taken extra measures making their gluten free pizza bases oblong in shape so you can always be confident that you’re getting the right pizza. 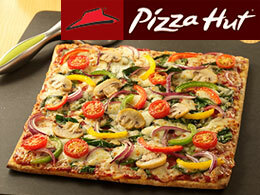 Pizza Hut on the Venue Guide. Pizza Hut Delivery offers a gluten free pizza base and have worked hard to ensure that all its tasty pizza sauces and toppings, on both their restaurant and take away menus, are also gluten free. They have taken extra measures making their gluten free pizza bases oblong in shape so you can always be confident that you’re getting the right pizza. 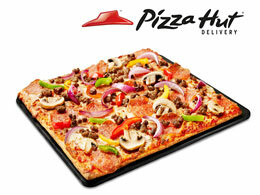 Pizza Hut Delivery on the Venue Guide. 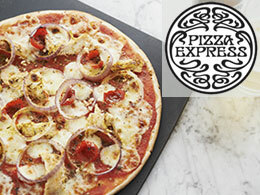 Pizza Express are proud to have a range of gluten free dishes on our menu, including risotto, sorbets and a pilsner. They’ve also introduced gluten free Classic and Piccolo pizza bases, so all of their pizza recipes can now be enjoyed, gluten free. Pizza Express on the Venue Guide. 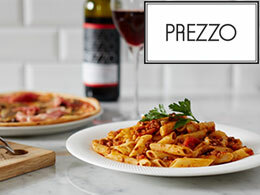 Prezzo, the Italian restaurant group have a dedicated gluten free menu in each of their restaurants across the UK. The menu includes a choice of nine classic pizza, pasta and risotto dishes as well as options from the grill and two delectable desserts. Prezzo on the Venue Guide. Rockfish on the Venue Guide. 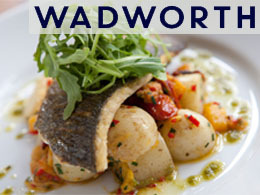 Wadworth & Co is an independent, family owned pub company and brewer based in Devizes, Wiltshire. All 56 of their managed pubs have now gained GF accreditation, allowing you to enjoy delicious, home cooked, gluten free pub food across the South West of the UK and London. Their 6X Gold beer is also Crossed Grain certified. Find Wadworth managed pubs on the Venue Guide or view the full list of accredited Wadworth managed pubs here. 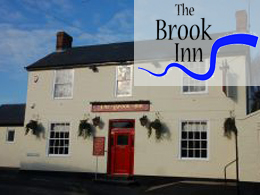 The Brook Inn has an excellent reputation for food and hospitality. Located in the picturesque Suffolk village of Washbrook, their impressive gluten free menu makes it a popular destination. The Brook Inn was one of the first pubs in the region to offer gluten free and gain accreditation. You’ll find an exciting array of specials, vegetarian options and delicious desserts available. The Brook Inn on the Venue Guide. 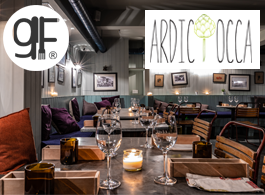 Ardiciocca, a fully gluten free Italian Restaurant in Fulham, London focuses on providing a range of gluten free dishes whilst not compromising on quality or flavour. Start with their salame, broad bean, pecorino cheese and homemade bread, a main of GF pizza with stracchino cheese and pesto and finishing off with their signature basil panna cotta. Ardiciocca on the Venue Guide. 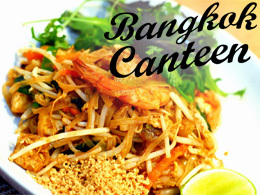 Bangkok Canteen is a family run Thai restaurant in the centre of Gloucester, founded on the principles of creating the very best Thai dishes with locally sourced ingredients, entirely gluten free. Organic and vegan options as well as gluten free beers are available. Bangkok Canteen on the Venue Guide. 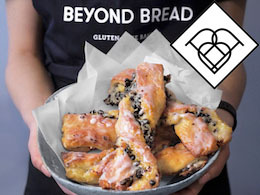 Beyond Bread Bakery are culinary pioneers inspiring people to discover new, yet familiar tastes through a range of naturally gluten free foods. With three London locations in Fitzrovia, Islington and Selfridges, behind the scenes are a team of expert bakers with years of experience, constantly challenging the status quo and experimenting with new ways to use gluten free ingredients. Beyond Bread Bakery on the Venue Guide. 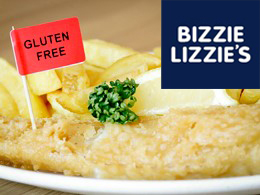 Bizzie Lizzie’s have two award winning fish & chip restaurants in Skipton, North Yorkshire offering gluten free options. Their Swadford Street venue offers gluten free fish and chips cooked in a dedicated gluten free part of the frying range. The High Street Car Park venue has a choice of gluten free chicken, chilli and prawn salad. Both locations offer a selection of delicious gluten free desserts. Bizzie Lizzie's on the Venue Guide. 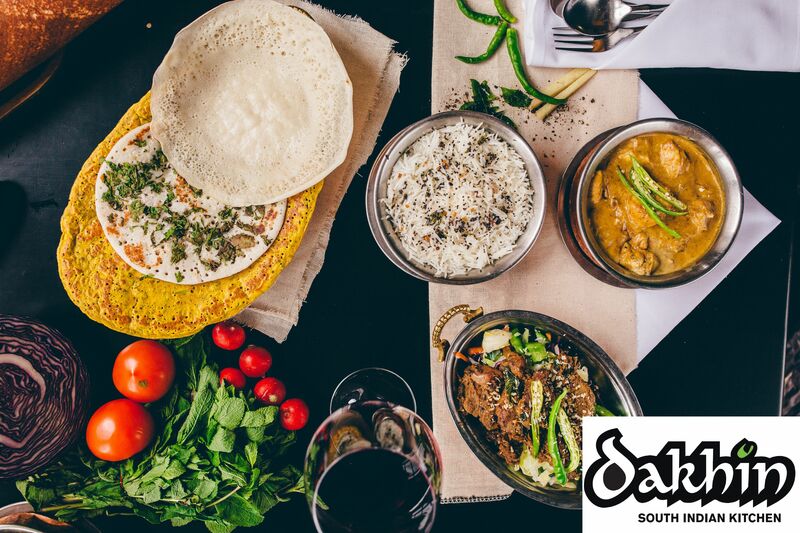 Dakhin, the first authentic South Indian restaurant in Scotland, is proud to provide a 100% gluten free menu — from starters, to main courses to desserts. Dakhin on the Venue Guide. 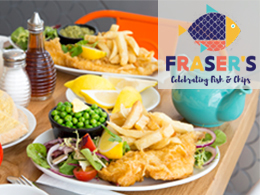 Fraser's Fish & Chips on the Venue Guide. 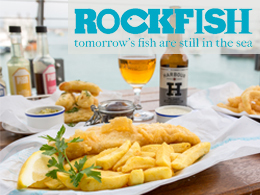 Harbourside Fish and Chips are proud to present from their new takeaway shop in Plymouth offering a full Gluten Free menu, that includes scrumptious fish and chips as well as fish cakes, sausages (battered or plain) and chicken bites. There is also a kids menu too so the whole family can still enjoy the Nation’s favorite take away- Gluten Free style- with us! Harbourside Fish and Chips on the Venue Guide. 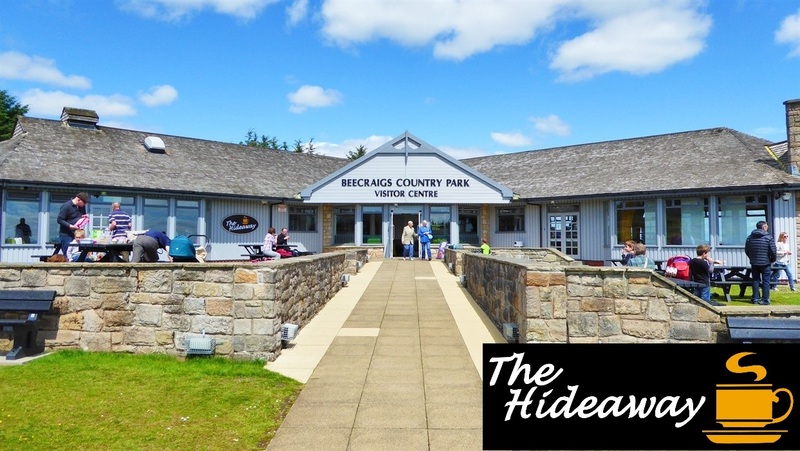 Hideaway Café is based in the Visitor Centre at Beecraigs Country Park. The café caters for British cuisines from Scottish Breakfasts through to Handmade Burgers. Upon request, the entire menu can be made gluten free within a totally separated GF area within the kitchen. Fresh scones and cakes are also made on premise using a separate GF only oven. Hideaway Café on the Venue Guide. A relaxed and informal restaurant in London’s definitive contemporary hotel, One Aldwych. 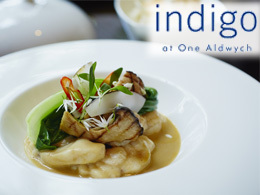 Indigo Restaurant offers a creative British menu, that is entirely gluten and dairy free. Crafted by Executive Chef Dominic Teague, the menu incorporates the finest seasonal ingredients carefully sourced from the British Isles. Indigo Restaurant on the Venue Guide. 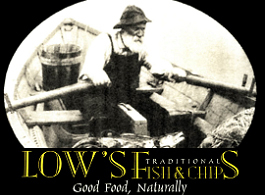 Low’s Traditional Fish & Chips, Aberdeen voted as Best in Scotland and Top 10 in the UK, they offer a wide range of gluten free options from your Standard Fish & Chips to Scampi and other items made form natural ingredients. Visit their website or shop and see what the Best Fish & Chip Shop in Scotland has to offer. Low’s Traditional Fish & Chips on the Venue Guide. 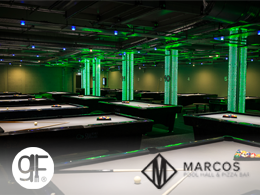 Marcos Pool Hall and Pizza Bar, an Edinburgh Institution, serves up American pool on professional 9ft tables, large screen TVs showing all sport, retro arcade games and XBOX one, this isn’t your average pool hall! With Barrel and Stone Pizzeria, recently GF accredited, serving delicious gluten free options as well as over 30 gins, cocktails, Available to book online. Families welcome. Marcos Pool Hall and Pizza Bar on the Venue Guide. 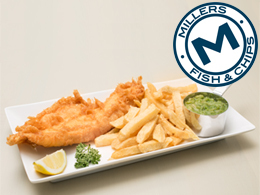 Miller’s Fish & Chips is an award-winning, 4th generation family-run restaurant and takeaway located in Haxby, North Yorkshire. They’re the official regional champion of the North East and finished as a top 3 finalist in the 2017 National Fish and Chip Awards – the industry’s most prestigious awards ceremony. Millers Fish and Chips on the Venue Guide. 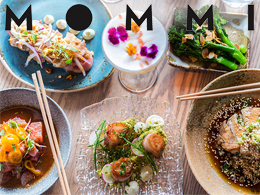 MOMMI – effortlessly healthy, GF Nikkei food from Peru/Japan by cultural way of Miami. Comprising fish, meat, veg and set dining sections – the style of food lent itself naturally to a full GF transition. Fresh, market style, small plates encourage sharing, with GF beer and cocktails for discerning tastes. MOMMI on the Venue Guide. 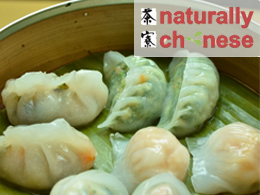 Naturally Chinese encompasses the aesthetics of Chinese dining by way of good food, beautiful surroundings and fragrant cooking. They present a range of gourmet dishes, bringing you the true taste of our Oriental origins. Their exclusive gluten free menu offers a wide variety of choices, prepared by a team fully trained and accredited by Coeliac UK. Naturally Chinese on the Venue Guide. 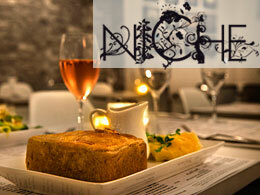 Niche is an independent entirely gluten free restaurant in Islington (Angel tube) which serves good honest British comfort food with a modern twist. Niche on the Venue Guide. 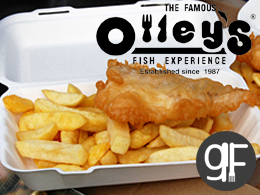 Olley’s Fish Experience in Herne Hill proclaim to be London’s most fashionable chippy. With an Olde World decor reminiscent of the nineteenth century, their gluten free menu is available every day in a warm, congenial atmosphere. Check out Olley's Fish Experience on the Venue Guide. 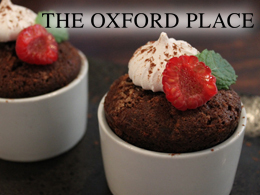 The Oxford Place, is a hidden gem in the heart of Leeds with a diverse choice of gluten free options, stunning decor, wonderful ambience and service. Using only the finest, freshest ingredients, it’s the perfect place to spend time with family and friends and enjoy sophisticated food that caters to your dietary requirements prepared in their 100% gluten free kitchen. The Oxford Place on the Venue Guide. 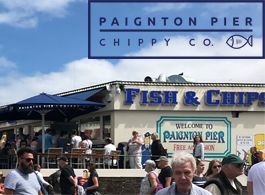 With a prime location at the entrance to Paignton Pier, Paignton Pier Chippy Co. offers quality fish and chips right on the seafront. Using sustainably sourced MSC certified fish, you can get your fish and chip classics here on their GF menu. Choose from classic Cod, Haddock or Plaice & chips or indulge in a battered sausage or a choice of local pies. Paignton Pier Chippy Co. on the Venue Guide. 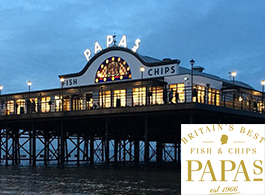 Papa’s Fish & Chips, Cleethorpes, is the World's largest Fish & Chip restaurant, named in the UK's Top 10 Fish and Chip shops 2019. The family run restaurant (est. 1966) serves gluten free meals everyday, offering a selection of GF starters, mains and desserts in the restaurant and takeaway which can be enjoyed with unrivaled views of the coastline. Papa's Fish & Chips on the Venue Guide. 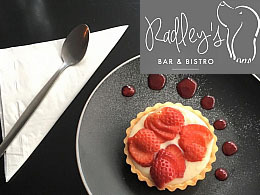 Radley's Bistro & Bar in Hastings have not only been awarded with Coeliac UK’s GF accreditation, they were also shortlisted for the 2016 FreeFrom Eating Out Awards in the Independent Restaurant category. Make sure you don’t miss their delectable gluten free dishes. Radley's Bistro on the Venue Guide. 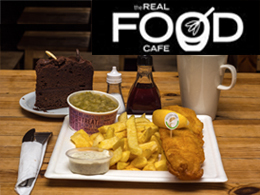 The Real Food Cafe offer award winning informal roadside dining. Serving gluten free food for over a decade, they have been accredited by Coeliac UK since 2014. Their gluten free menu includes soup, filled rolls, salads, fish and chips and home-baked delights. The number of customers requesting gluten free continues to grow, representing a significant part of their business. The Real Food Cafe on the Venue Guide. The Red Lion in Faversham have achieved gluten free accreditation. Their kitchen is entirely gluten free. This venue freshly prepare all food on site and even grow and hand pick their own vegetables in a plot next to a family friendly beer garden. The Red Lion on the Venue Guide. 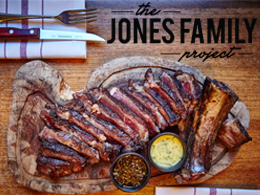 The Jones Family Project, Shoreditch, is a restaurant and bar that sources its products from suppliers who focus on animal welfare, quality and sustainability. With an extensive gluten free menu, enjoy a delicious Burrata starter, one of the several different cuts of the highly acclaimed Josper grilled dry-aged steak as a main and finish with a selection of gluten free desserts or cheeses. The Jones Family Project on the Venue Guide. Listed Top Steakhouse in London by Steak Society, The Jones Family Kitchen, is tucked away in beautifully restored Eccleston Yards, London. 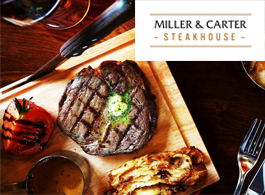 Enjoy a table in the pedestrian only courtyard and tuck into their tasty steaks, gluten free beer, cocktails and excellent wine list. Steak is the main focus but there are delicious vegetarian and vegan options available too! 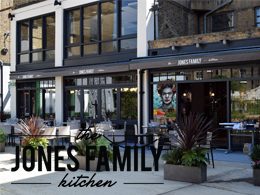 The Jones Family Kitchen on the Venue Guide. Shoemakers café based in Newbury has become the first in town to offer a totally gluten-free menu. Shoemakers, in The Arcade, off the Market Place, serving light lunches, cakes and refreshments for the past 14 years. Scotts Fish and Chips own two multi award winning, eat in or takeaway, gluten free, fish and chip shops in Helmsley and Bilbrough near York. 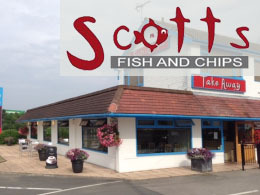 Not only do they offer gluten free fish and chips, but also a range of starters, mains and puddings can be had.Scotts on the Venue Guide. Sfoglia Bologna, Aldgate brings the ultimate Italian cuisine experience to the Heart of London. 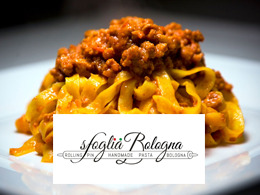 Their dishes are made with fresh, handmade pasta produced using Bologna’s traditional techniques. 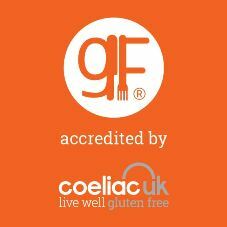 Gluten free options are available with most of their dishes and we’re pleased to announce they are now GF accredited. Sfoglia Bologna on the Venue Guide. Sunrise Senior Living in Bassett, Southampton provides first class care dedicated to enhancing quality of life for all nursing home residents through high quality, personalised nursing, dementia care and assisted living. 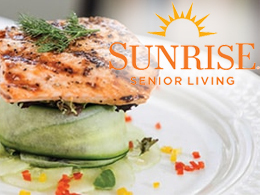 Their award winning Dining Team serves the very best British produce to residents and we are delighted to announce that their menu is now GF accredited.Sunrise Senior Living on the Venue Guide. 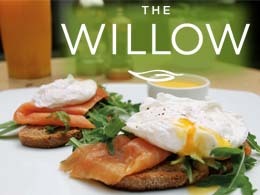 The Willow, Kingston isn’t just a regular bar and restaurant.Their dining experience has been crafted with nutritional expertise to provide food and drink which appeals to even the most health conscious of customers. Dishes have been created to reflect specific dietary needs for balanced plates that are nutritious, delicious and entirely free from gluten.The Willow on the Venue Guide. 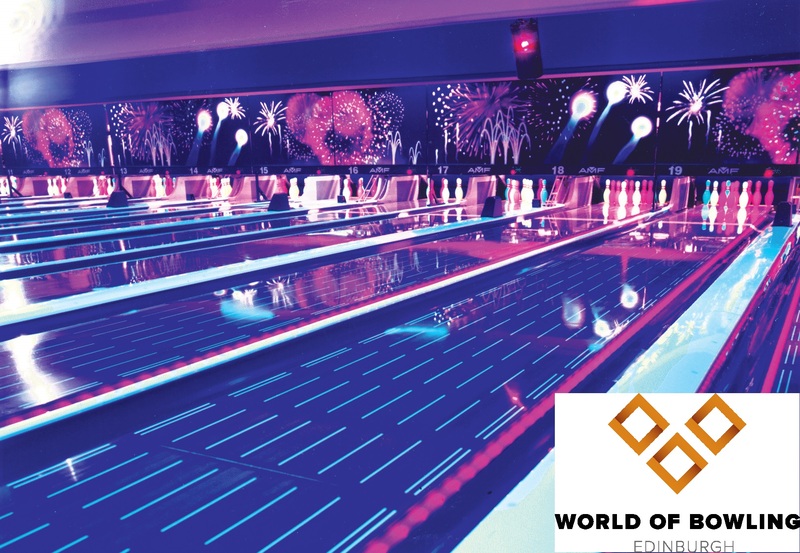 World of Bowling is a 12 lane ten pin bowling venue with Barrel and Stone Pizzeria which serves delicious gluten free options. As well as being GF accredited, other facilities include five a side football, licensed bar, pool and snooker. Available to book online. Families welcome. World of Bowling on the Venue Guide. The British Motor Museum, based in Warwickshire was the first museum and conference centre to gain GF accreditation in 2015. It gives visitors the opportunity to enjoy a wide range of gluten free options in its café. 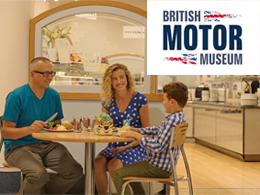 Homemade sandwiches and cakes are prepared in a separate gluten free kitchen to ensure no risk of cross contamination and conference delegates are given a dedicated gluten free menu.British Motor Museum on the Venue Guide. 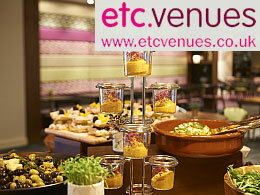 etc.venues provide the perfect space for training, meetings and conferences accompanied by in-house teams of talented chefs. Mouth watering, innovative menus are provided with delegate’s needs in mind, which is why etc.venues gained GF accreditation. Now all 16 of their venues can be enjoyed by people following a gluten free diet.etc.venues on the Venue Guide. Knorr kitchen at Unilever House in Leatherhead is demonstrating how simple catering gluten free can be and how it can have a positive impact on food turnover. 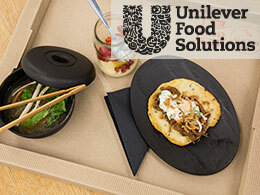 Unilever Food Solutions can now reassure people with coeliac disease that it’s safe to eat in the kitchen. 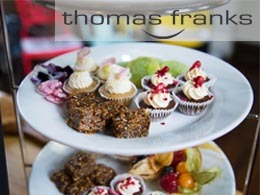 Contract caterers Thomas Franks is the only contract caterer to have been awarded the Coeliac UK GF accreditation. With a portfolio of 18 accredited venues, including schools, restaurants and workplaces. They provide customers, pupils and colleagues with safe gluten free meals and snacks. If you would like to know more about what Thomas Franks could do for you, visit their website.Thomas Franks on the Venue Guide. Outside caterers The Creative Kitchen Co. are an outside catering company based in Derbyshire serving fresh, seasonal food created to fit every occasion. They are passionate about producing affordable inclusive food that alleviates the stress involved with catering for all kind of parties and events. A wide range of gluten free dishes are available that can be shared with family, friends and guests. 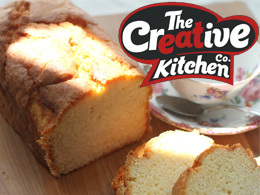 Creative Kitchen on the Venue Guide. Universities Eating gluten free foods doesn't mean missing out on the things you love. The gluten free range at White’s Dining Rooms, University of Chester have got it covered. The menu features a range of delicious foods and ingredients including their sweet potato and quinoa burgers served on gluten free buns.White's Dining Rooms on the Venue Guide. The University of Leicester was the first UK university to receive Coeliac UK accreditation. 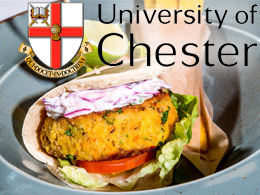 The University provides a wide range of gluten free sandwiches, soups, salads, cakes and biscuits across its various catering outlets on campus. 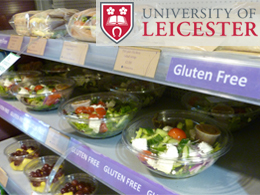 Students with coeliac disease living in catered accommodation can also now enjoy a gluten free diet.University of Leicester on the Venue Guide. GF accredited, the CCE & Foragers Restaurants on Northumbria University's campus makes them the fourth University in the UK to join our scheme. taste Northumbria have worked hard to develop new gluten free options for their menus to better cater for those with coeliac disease in order to make the transition to University life easier than ever. 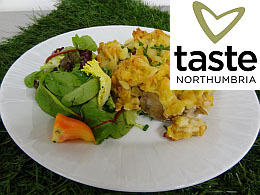 taste Northumbria on the Venue Guide. The ‘Simply Pembroke’ range at Pembroke College offers students, staff and University Members a variety of safe meat, fish and side gluten free options which are all prepared in a kitchen which is only used to produce allergen free items. 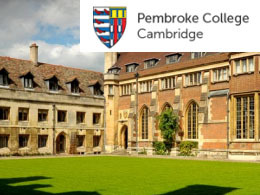 Pembroke College on the Venue Guide. Chartwells Independent are a contract catering company that have been working closely with Coeliac UK to bring some schools onto the Accreditation scheme. We’re pleased to announce that The Leys school based in Cambridge is GF accredited. 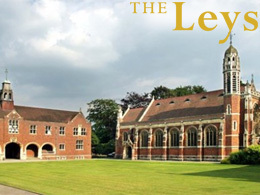 The Leys on the Venue Guide. 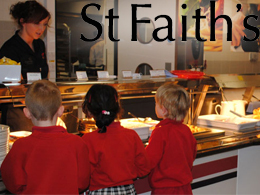 Caterers at St. Faith’s prep school based in Cambridge have been working closely with Coeliac UK to bring their school onto the Accreditation scheme to provide safe gluten free provisions to students, staff and visitors alike. St. Faith's on the Venue Guide. 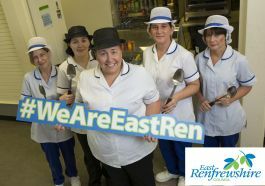 East Renfrewshire Council has become the first local authority in the UK to achieve GF accreditation for its school catering service. The accreditation covers their central production unit and the 28 schools that they serve. Children are able to enjoy gluten free versions of macaroni cheese, steak pie, sweet chilli chicken and a selection of homemade desserts including chocolate and beetroot brownies, lemon drizzle cake and even Scottish shortbread. 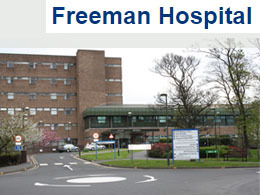 Located in Newcastle Upon Tyne, the Freeman Hospital was the first NHS hospital to become GF accredited by Coeliac UK. Whether you are a patient, member of staff or visiting the hospital, there are gluten free meals and snacks available on the wards and in the restaurant. Freeman Hospital on the Venue Guide. 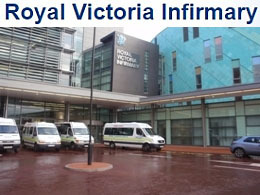 The Newcastle Upon Tyne Hospitals have now added the Royal Victoria Infirmary to their list of GF accredited hospitals. Providing healthcare to the community for over 250 years, now patients, nurses and visitors can now all find GF meals and snacks available in the restaurant. Royal Victoria Infirmary on the Venue Guide.